Have a look at our portfolio to check out previous projects we’ve worked on, and get an idea of how we can help your business grow with bespoke software solutions. Situated at Ilkley in West Yorkshire at UK. 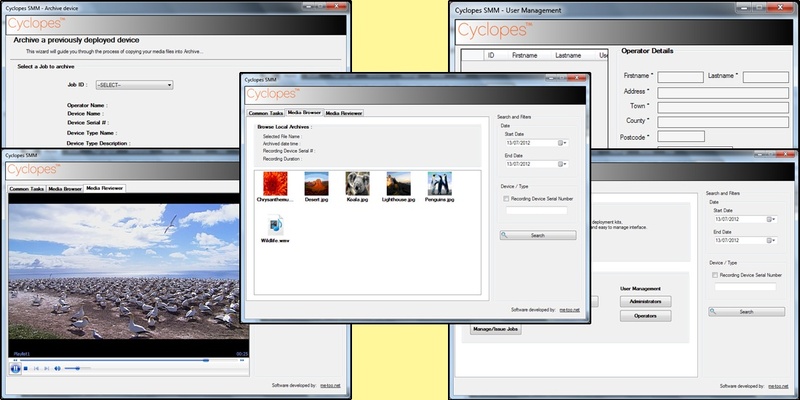 Cyclopes SMM was bespoke software designed to be built as a media manager for security devices and intended to be capable of managing device types, devices, jobs, job allocations, media archiving and media viewing. The application was developed for Microsoft Windows OS (32 and 64 Bit) using Microsoft .Net (C#) and included an embedded SQL Server Compact database to record data/information used in the application. Cyclopes was anticipating an innovative digital media management solution that was required to connect with media devices and distribute their content in a highly secure environment. 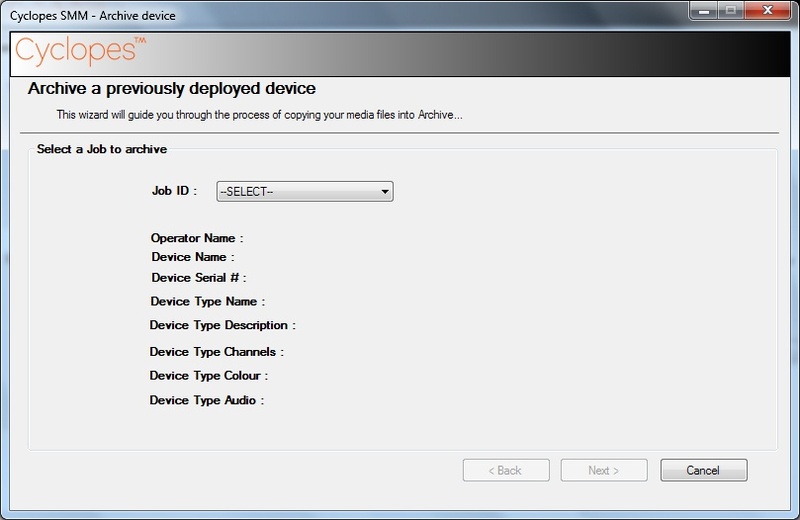 Such a product would need to be able to easily recognize media files from devices such as storage cards, memory sticks and USB connections. This application would have to provide a very simple management process while maintaining a history of recorded events with complete information on deployed tasks. It would ultimately be used by administrators and managers handling important, protected data in places such as Benefits Agency, Environmental Agency and the Police. 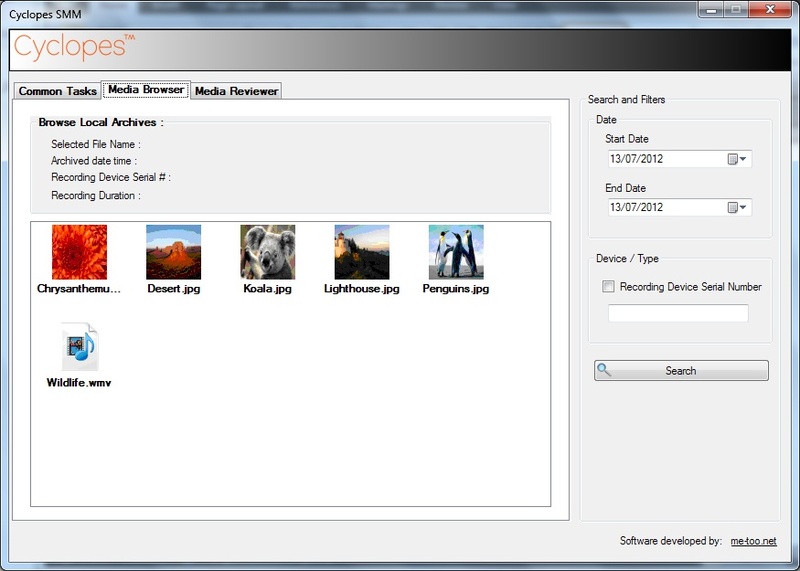 A Windows based application was designed using Microsoft technology. 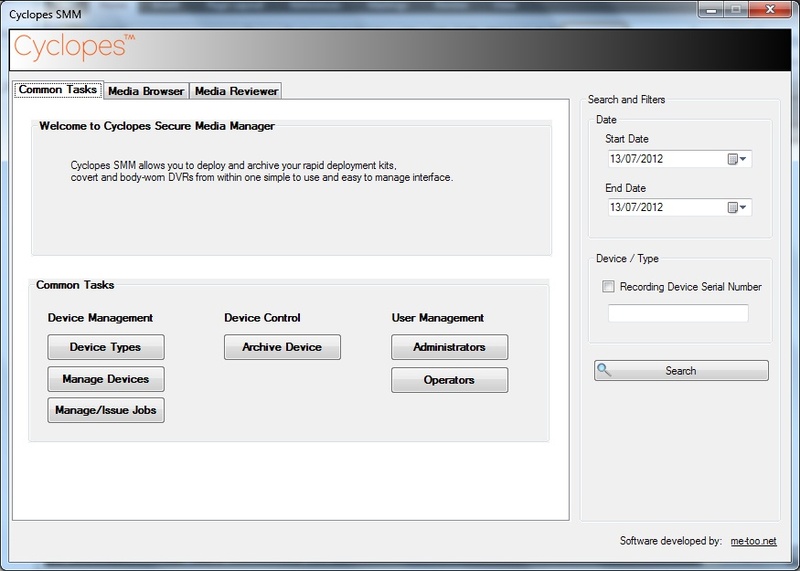 In order to fulfill the security requirements, a security dongle would be required to be attached to the PC while the application is in use. The dongle would need to match with an encrypted file residing within the system in order to grant user access. After successfully signing in to the application, user would be directed to the Main screen. The Main screen would consist of three sections which would be the launch pad for most of the system activities namely – Device Management, Device Control, User Management, Media Browser and Media Reviewer. The completed system is currently used alongside security system devices while facilitating easy, safe and customized management for handling various media content. It is simple, user friendly and offers a structured organization of events, deployment and stored files. Access to the system is restricted and only approved users are permitted to use the application. Cyclopes SMM was developed in a single cycle and delivered within 35 days. 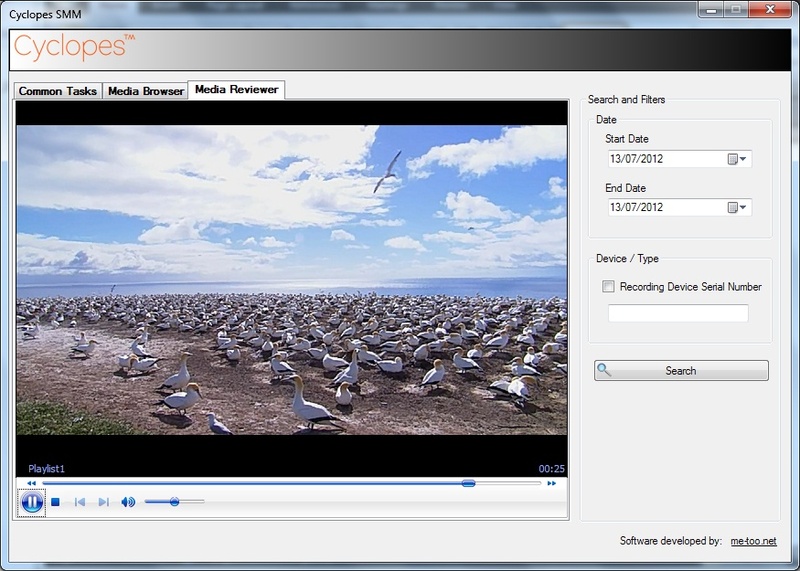 With the implementation of a bespoke media cataloguing application, Cyclopes users were enabled with a quick, effective and safe method to work in conjunction with different devices and environment settings.